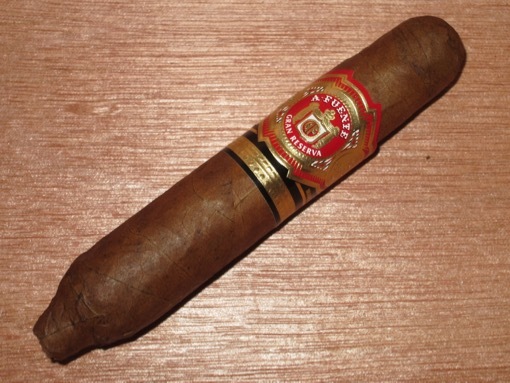 The Fuente Hemingway is a classic blend that may have introduced more cigar smokers to Cameroon wrappers than any other cigar. I hadn’t smoked one in at least a year, but for whatever reason I decided to pick one up recently. I’m glad I did. Made with a Cameroon wrapper and Dominican tobaccos, the perfecto (4.5 x 49) demonstrated cream and coffee flavors with notes of cinnamon, black pepper, and cedar. Flawless construction and a reasonable price (around $6) make this an easy recommendation for seasoned smokers and newbies alike. Had two of these today, although the ones I smoked had a 48 ring gauge and 4″ length. I noticed the heads of both had something sweet that had been applied to them. What is that?